Britpop Revival: Would you pay £18.50 for an album? Would you pay £18.50 for an album? The recent demise of the HMV chain of record stores, the last real national outlet for buying music on the high street, has got me thinking. All the places where I bought music as a teenager are long gone Our Price, MVC, Woolworths, Tower Records and now HMV. I ought to be nostalgic for them but I'm not. I couldn't even summon up much enthusiasm for the inevitable 'support you local independent record store' campaign. I suppose I have to think about why I used to shop there and why, even though I buy just as much music now as I did in my youth, I haven't bought anything from a record shop in years. The main reason was that it was the only choice. You had whatever stock was in your local record shops and that was it. If they didn't stock it, you weren't getting it. I can remember finding a review of an album from years previously and deciding that it sounded so good that I just had to get that record (It was 'The Inmates Meet The Beatles Live in Paris' seeing as you're asking). I had to go to the shop, they looked it up in some big reference book and ordered it. It took about 2 months to get it! So yes CHOICE, is the big thing. The internet has changed music distribution entirely and how can a physical store, even a huge one, compete? The Tower Records shop at Piccadilly used to be almost a tourist attraction because of the range of music it stocked. Right now, via Spotify, YouTube or a dozen other services I can listen to practically anything I want. And that has enabled people to branch out and try new artists and genres in a way that was simply incomprehensible only a decade ago. Another change has been the COST of music. Aside from the streaming options mentioned above, if you want to buy music it is quicker and much, much cheaper than ever before. When preparing for my last show I came across this CD from Travis. It cost £14 in 2001, that's £18.50 in today's money. I can buy a brand new copy of that CD from Amazon today for £5.30, or a used copy for £1.27 (download is £8 for some reason). 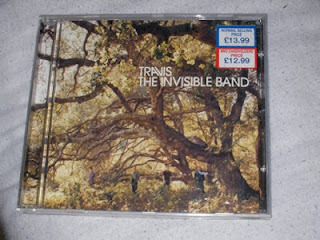 Travis: Worth £18.50 or £1.27? Okay, so comparing the price with a used copy may not be a fair comparison but it represents an option that is available to me today that would not have been there a decade ago. Would you pay almost £20 for an album? No, we have adjusted to a different price range. I'd baulk at paying more than £7 now unless it was for something really special. Even then that decision is normally made after giving the album a few listens on Spotify first. How can a record store compete on cost? It's not that long ago that HMV were still trying to sell albums for £15. The surprise is not that they've gone bust but that they lasted as long as they did. However perhaps the reason most people give for why they love record shops, especially the independents, is the staff. Building that personal relationship with someone who would recommend new music to you or maybe just a cool place to hang out and listen to something different. Who wouldn't want to hang out in Championship Vinyl from the movie High Fidelity? Maybe I just never found the right record store? But I do know that now with blogs, facebook, twitter and all the other resources of the Internet I can get more interaction and recommendations about music then ever before. 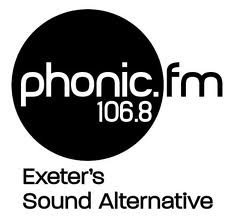 Plenty of the tracks that I play on the shows are from 90s bands that I'd never heard of before people through our facebook and twitter sites recommended them. So I've got more access to information about new (and old) music than ever before, can purchase or listen to almost any music and at a much, much lower cost than at any other time in the history of recorded music. So farewell HMV and your ilk but your time has passed. For a blog that focuses on 90s music it may seem a bit rich but in this instance nostalgia for record shops is over-rated, we've never had it so good. Postscript: After watching that clip I too felt the urge to obey John Cusack and purchase a copy of 'The 3 E.P.s by The Beta Band'. Instead I had a listen on Spotify. "Maybe I just never found the right record store?". Try RAVES FROM THE GRAVE, which now has 3 shops in the south west. Great staff who have a real passion for music and a HUGE selection of vinyl. amazing prices too, and if you buy a few things at once they usually give you a discount too. but yes, i feel certain outlets (probably due to record labels) did hike up the price of CDs in the 90's when they actually cost next to nothing to manufacture, but i suppose some of that was paying for the format rather than the cost of the music itself if you see what i mean. Spillers Records in Cardiff, the oldest and still probably the best record shop in the world.Its all about the personal interaction with the staff, the time to browse in an easy going atmosphere and listening to what you want before you buy. Personally, I really enjoy having a good rummage and finding something I might not originally planned on buying, its a lot more difficult to do that online. It also helps that if you are after Welsh rock music in particular, you probably won't find much of it on i-tunes, often the store is the only place to get certain music. I also like to have something to hold, something tangible, and the cover art itself. In the 1990s following on from showgaze and the baggy Madchester scene, and in direct response to the American grunge invasion, a new generation of bands started producing uniquely British music. It reflected the changing times, the slow demise of the Tory administration and the promise of a brighter future (or so it seemed). 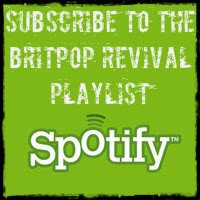 From the first green shoots of 1992 until it ran out of steam at the end of the decade, music that could be called pop or indie became known simply as 'Britpop'. Blur, Oasis, Pulp & Suede. Elastica, Republica, Catatonia & Echobelly. Shed Seven, Dodgy, Mansun & Ocean Colour Scene. Just the start of a long list of great bands. This blog and the radio show celebrates those bands, those songs and those times! Do you still remember the first time? Original Britpop Vintage. Younger than Noel. Older than Liam. Poorer than both of them.